The Communities Directorate employs (among many others) planners, civil engineers, educational psychologists, ecologists, bus drivers, information analysts, school crossing patrols, administrators and countryside rangers. Much of our work is carried out in partnership with other agencies and organisations as the best way to provide for the people of Warwickshire. Our staff are based in offices, business centres, parks and depots throughout the county. There are five councillors who are responsible for certain areas of our work. Assistant Director, Stuart Jackson (interim) brings together the following teams: economy and skills; planning development and flood risk management; strategic planning; regional partnerships; traffic and transport planning; infrastructure and regeneration; community safety and locality working. 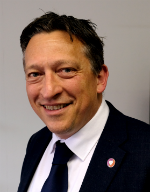 Assistant Director, Scott Tompkins brings together the following teams: waste management; environment, economy and archaeology; trading standards; design services; county fleet maintenance; county highways and transport operations; customer liaison; CSW Resilience. Assistant Director, Ian Budd brings together the following teams: Warwickshire Music; SEND and inclusion; learning and performance; adult and community learning; education sufficiency and access; Warwickshire Virtual School; Marle Hall Outdoor Centre; education and learning business improvement team. Chief Fire Officer, Kieran Amos Our purpose is to protect the community and make Warwickshire a safer place to live. WFRS is governed by three areas: service delivery, service support and service improvement. These areas all work closely together to make sure that we fulfil our duty.